The following interviews were recorded at StoryCorps, a national initiative to record and collect stories of everyday people. Excerpts were selected and produced by Alabama Public Radio. Sponsored by the Poarch Band of Creek Indians. "I came out of braces when I was 14 years old - that was a miracle right there." "Your mom is on your side, you can always count on her"
"Without help, It would be every day wondering 'is he going to die today'?" "It's kind of like my outlook on art... you take what you've got and you make the best of it"
Artist Chris Cumbie shaped his nontraditional, artistic style in rural Alabama. From a young age, his grandfather taught him how to use what was around him to build what he needed. While at StoryCorps, Chris spoke with his fiancé Harriet Shade about his childhood and the influence of the support and encouragement she’s provided him and his son Christian. "My goal was to align my career with my passion... my passion is music, my passion is freedom"
"It's hard for people to move from their countries, but now we feel that this is our home"
"When families come to the U.S., they come seeking opportunity; most of the time they're isolated"
"Everything worked together for me to come here... it's amazing when you think about it"
"In Alabama, I have succeeded in having the richest relationship you can have, which is a marriage"
"No one was like me... I fit in because I'm so light-skinned"
"Our oil disaster isn't over; there's oil washing ashore every day"
"You had segregation everywhere... they just didn't have the signs"
"She was willing to go against her religion for me - for her little sister"
"You helped me be a better man than anyone else has"
"I'm going to tick somebody off any time I draw something"
"I did not believe in ghosts before I moved to Mobile"
"You were my first official girl crush"
"My grandmother told me, 'baby get out and stay out'"
"We've made a lot of progress but we still haven't made enough"
"We say we didn't know but we also didn't want to know"
"I just can't imagine anyone in my family had anything to do with that"
When Kara Cresswell-Osborne was 16 years old, a disturbing experience at her grandparents' church in Montgomery, Alabama opened her eyes to the existence of racism in her family. 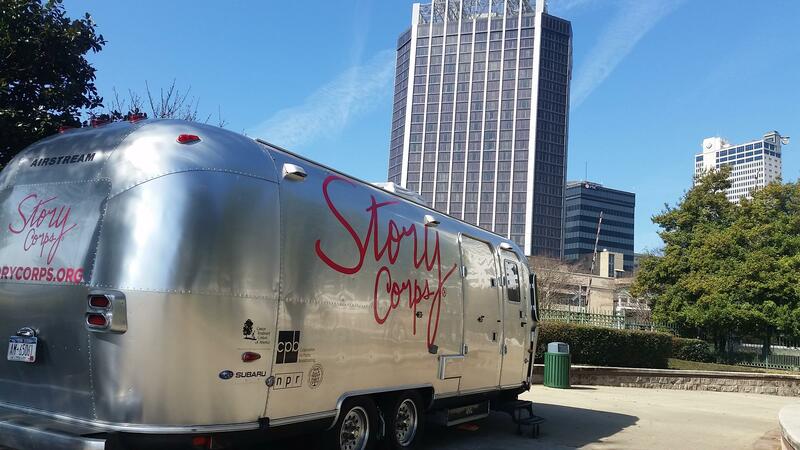 In February of 2017, StoryCorps came to Mobile, Ala. and Kara shared this story with her mother Kimberly Geissmann in an open, honest conversation about family history, shame and racial acceptance. "Our house was integration inside, segregation outside"